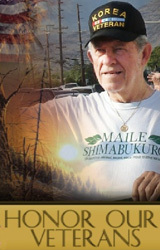 Kupuna Art Frank Endorses Maile! When it comes to a politician, I don’t care what’s upstairs until I know what’s inside the person. 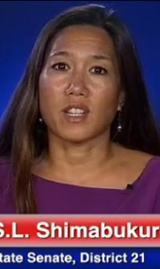 I want to know if he or she really cares about our people, aina and all of Hawaii nei. 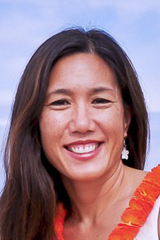 On the Waianae Coast in District 45 we’re fortunate in having Maile Shimabukuro representing us because she’s a very caring, compassionate, beautiful human being. She’s proven time and again how much she cares about na keiki, na kupuna, the disabled, the veterans, the disadvantaged, the environment, education, etc. 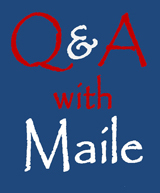 Maile was born and raised on the Waianae Coast, so she really understands our problems and needs. 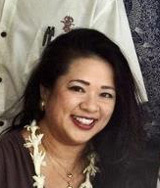 As a longtime deaf advocate and community activist at our state Capitol, I’ve seen our representative in action first-hand in Hawaiian, education, transportation, human services, veterans and community issues. 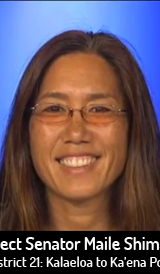 I’m glad she’s there because she’s doing a fantastic job for the Waianae Coast.